Water is one of the most essential components in life yet it can assume a destructive form too. History is full of destruction due to heavy rains, floods, blizzards, melting snow. Nature’s wrath can never be contained. We can do little to protect ourselves in the face of a disaster. What we can do however is to get back to normal life as early as possible. This is where Fort Lauderdale Water & Mold Damage can help. If your property is facing a crisis after a catastrophe, 954-374-6206 is the number you need to dial. We will help you pick up the pieces and build your life again. With twenty years of experience in restoring property damaged by natural disasters in and around Fort Lauderdale, FL and helping property owners cope with such events, we can help you through such trying times. Why immediate flood damage restoration is vital? Electrical hazards: If there are any short circuits or loose wiring, it can cause damage to life and property. If your property is flooded, first thing to do is to shut down the main lines; this will help prevent any electrical hazards. Contamination: When water stays at one place for long, it can lead to contamination. Bacteria may grow, causing a range of health issues. If the flooding was due to overflowing toilets or drains, it can be extremely unhealthy and lead to various diseases. 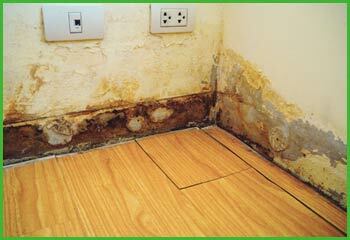 Mold growth: Water damage may lead to mold growth as well. Mold feeds on paper or wood on the drywall, which means it can lead to extensive damage to property and prized possessions. Weakens structure: Flooding can cause damage to the structural integrity of your property as water can go deep into the property and weaken it from deep within! No matter the severity of water damage in your property in Fort Lauderdale, FL area, you can depend on us to set right all issues and restore it to its pre-loss condition. 1) Water drainage: It is not easy to empty a place of water, especially after heavy flooding. It can be quite challenging for the homeowner to undertake the work on his or her own. This is where expert services from Fort Lauderdale Water & Mold Damage can help. They have the right tools to enable them to do their job in the best possible way. Our professionals use vacuums and heavy-duty pumps to eliminate the water from the property. 2) Remediation: If there is excess moisture in the air, it is removed with the help of air blowers, vacuums and other cutting edge equipments. Remediation involves extensive cleansing. The property is also disinfected and deodorized. 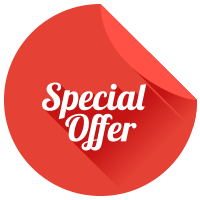 Our professionals remove mold growth or any other contaminants too. 3) Restoration: We work fast to restore damaged wallpaper, carpets, flooring or any other types of structure. If your property is flooded, delays can worsen it. Call us at 954-374-6206 now for immediate help.